If you are interested in buying or selling a home in Hampton Roads, you've come to the right place! Whether you are new to the area or if you have lived here a long time, I first want to welcome you to my website, HamptonRoadsRealEstate.us and second, thank you for taking the time to read this! If you have any questions about neighborhoods, property values, a specific home you would like information on, financing options and the like, please feel free to contact me. I'd like to make myself available to you as a resource and am happy to help you! 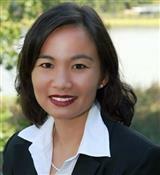 My name is Liz Schuyler and I am a full time Virginia Beach real estate agent with RE/MAX Allegiance. I grew up in Virginia Beach and have been selling real estate in the area with RE/MAX Allegiance since 2003. The real estate market is constantly changing and I've been through buyers' markets and sellers' markets alike and know what it takes to both buy a home and get one sold. No matter what your situation or experience level, whether you have bought and sold several homes before or if this is your first time, I would welcome the opportunity to work for you. I have experience working with many buyers from first time home buyers to investors and have a broad network of expert resources in finance, construction and closing. I've also sold a lot of homes for sellers ranging from individual home owners to bank and government owned foreclosures and short sales. If you have a real estate need, I would love to know more about what I can do to help. I hope to hear from you soon and I look forward to the opportunity to be of service!